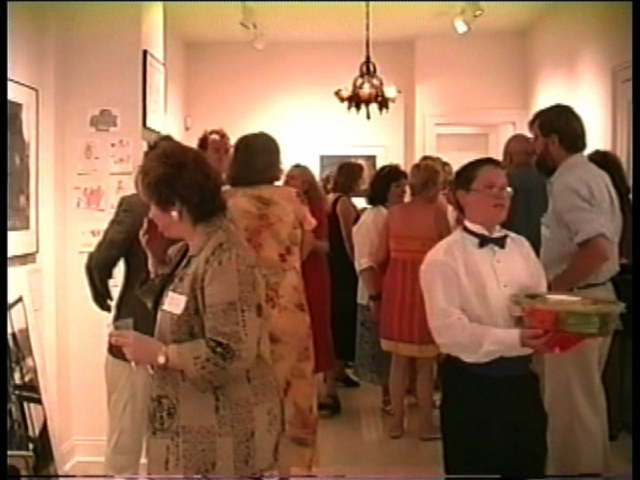 a Connecticut woman artist, named Chet Saur. 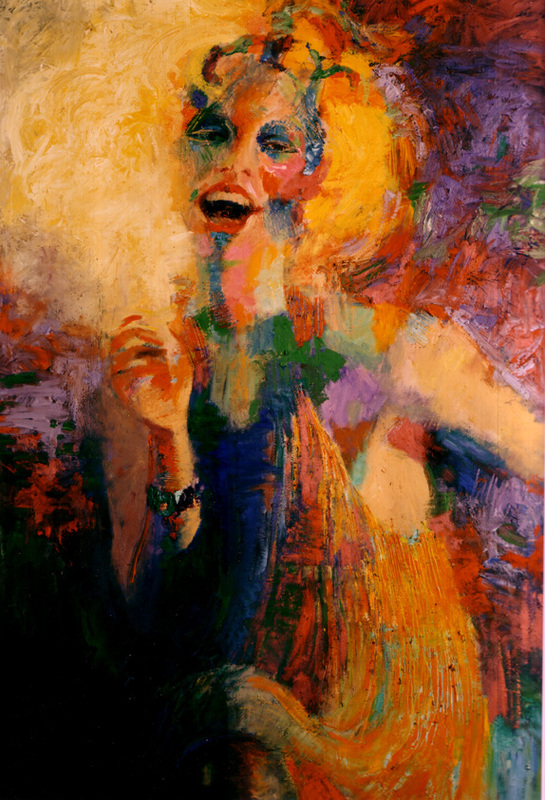 © 2000. 2. 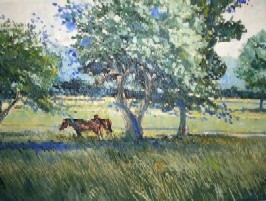 A Collection Of Paintings. by Darrin Andrew La Morte vol.1. 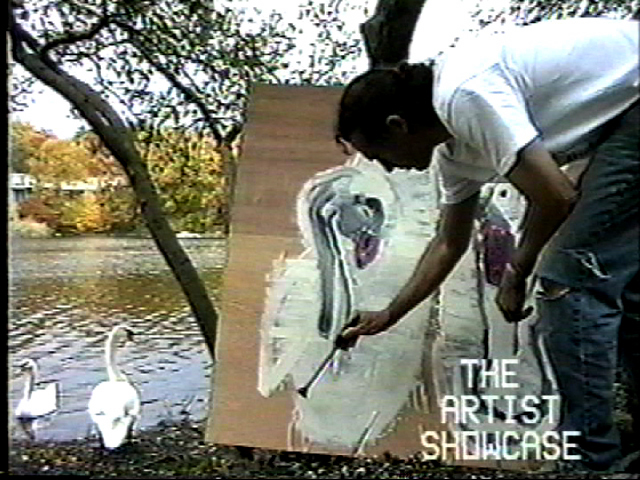 © 2001.
and shows clips of a life on a pond. 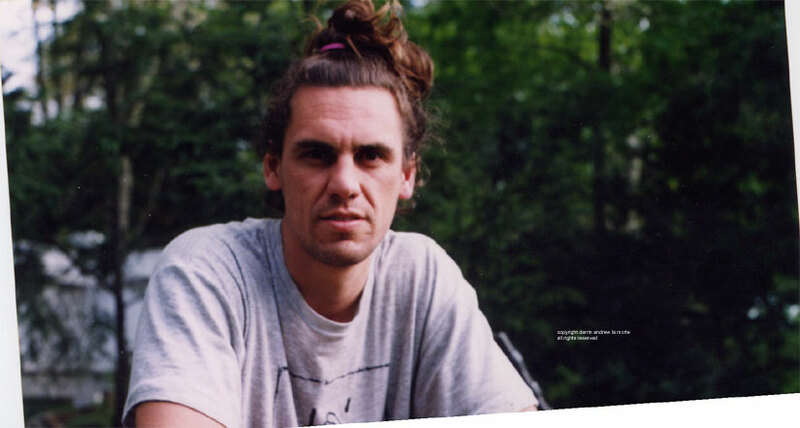 © 1999.
span of eight to ten years. © 2001. 5. Time-Lapse. A painting by Darrin Andrew La Morte. paints this painting over a 28 hour time frame. Click on the photo below to see my painting of Time Lapse. by Darrin Andrew La Morte. © 2001. "Joseph Samuel La Morte's "Maxwell." adjacent to the Driftwood Diner, Darien. 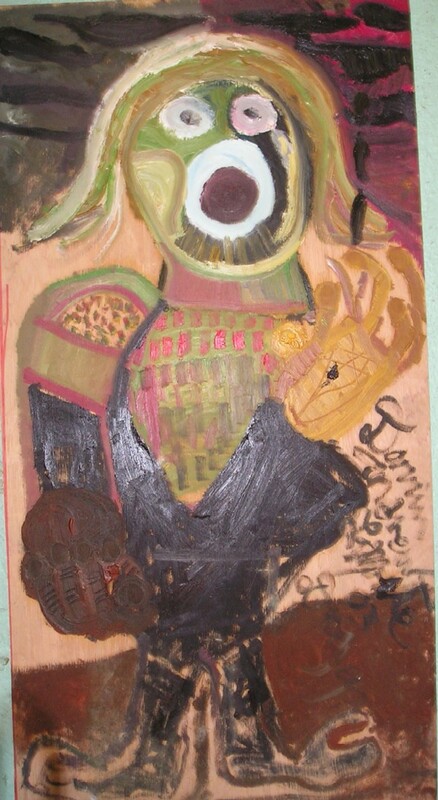 © 2001.
as well as paints, John, how he remember him. © 2001. 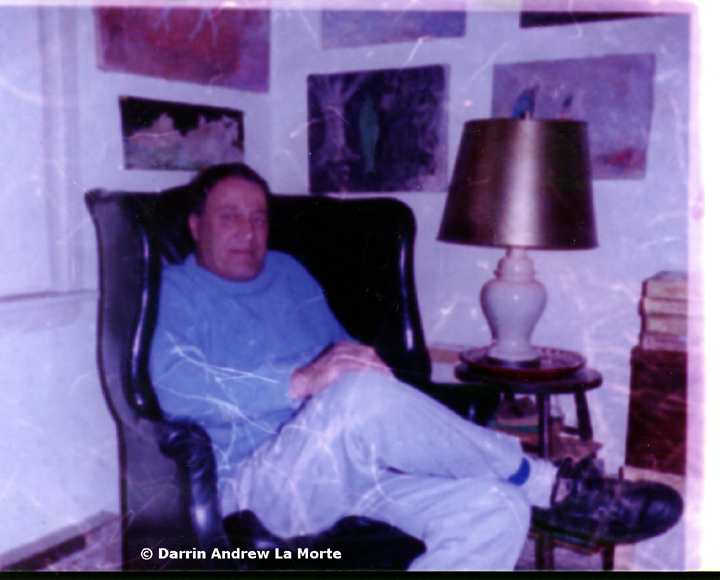 Darrin Andrew La Morte, Sitting infront of one of John's works, 2004. John De Nunzio, Halloween night 1992. 11.Samuel Joseph La Morte. Darrin Andrew La Morte paints his grandfather. 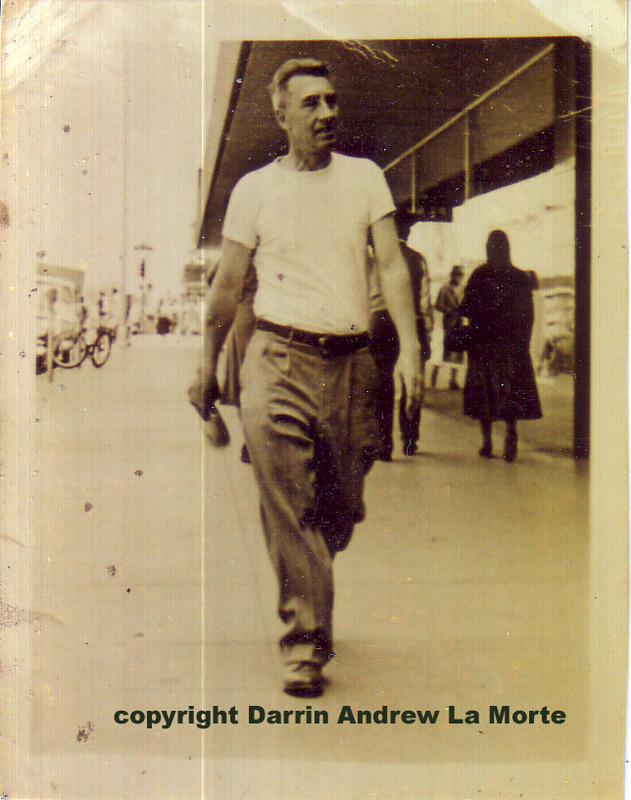 Samuel Joseph La Morte In Arizona. ©2001 Darrin Andrew La Morte. by Darrin Andrew La Morte. © 2001 Darrin Andrew La Morte. an Outer space Woman might look like. © 2001 Darrin Andrew La Morte. Fireworks/STEVEN LA MORTE at Film festival. 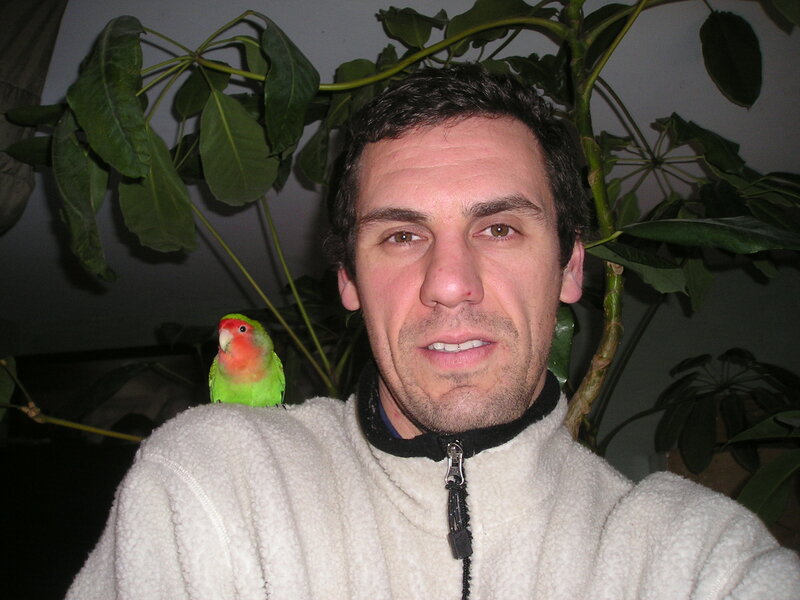 his Peach Faced Love Bird charlie. © 2001 Darrin Andrew La Morte. Hip Hop and Contemporary Art. 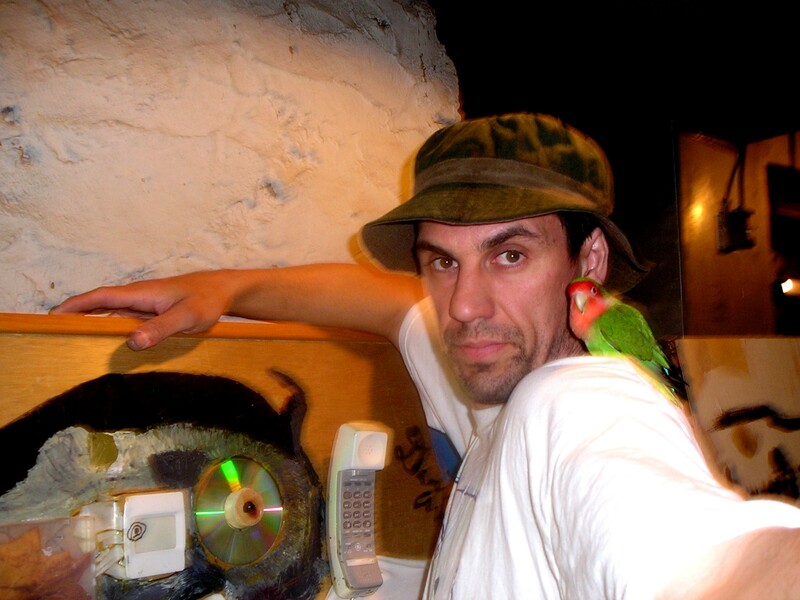 Darrin Andrew La Morte, travels to the Bronx Museum Of The Arts-To see and film, "One Planet Under A Groove". 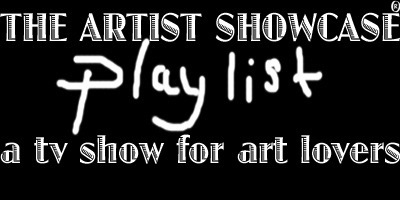 Hip Hop and contemporary artists where the main theme. 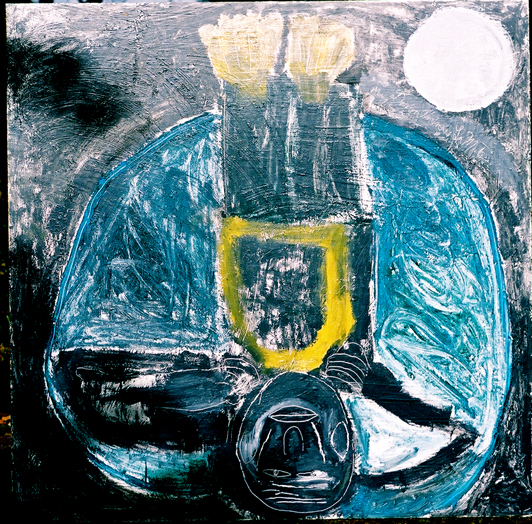 La Morte films art by various American, African, Japanese, and Cuban artists. The Living Room-About Keith Haring's Work. to film art by various American, African, Japanese, and Cuban artists. © 2002 Darrin Andrew La Morte. "CLIP ONE PLANET UNDER A GROOVE"
Collage, Darrin Andrew La Morte, 1992. "Looking Up At The Moon"
lying down while looking up at a full moon. © 2002 Darrin Andrew La Morte. 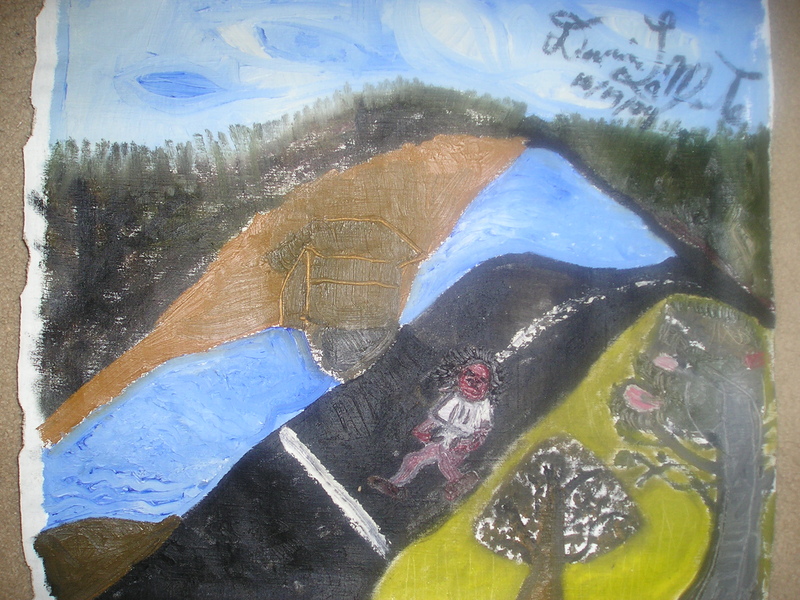 Darrin Andrew La Morte, paints a man walking down a dirt road while on vacation. just babies. © 2002 Darrin Andrew La Morte. Darien, Connecticut. Filmed with time-lapse. 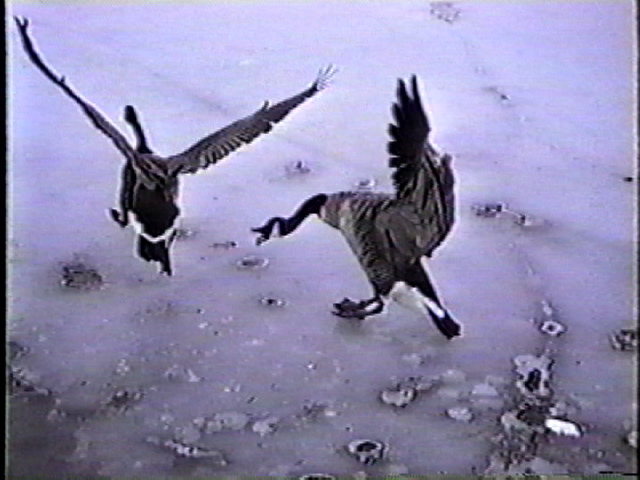 The female Mute swan died during the filming of this episode. She unfortunately didn't make it throughout the winter. She was buried deep in the marsh.© 2002 Darrin Andrew La Morte. captures a family of Canada Goose with six newborn Goslings. We watch them eat and play. © 2002 Darrin Andrew La Morte. with a few dogs. People stop and talk to the artist as he is busy painting. 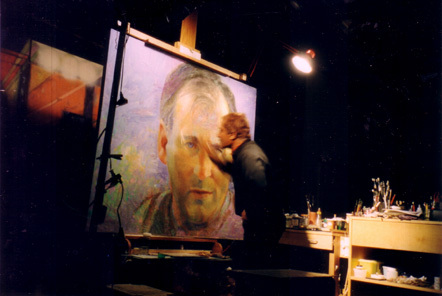 Enzo Russo painting a portrait in his Studio. 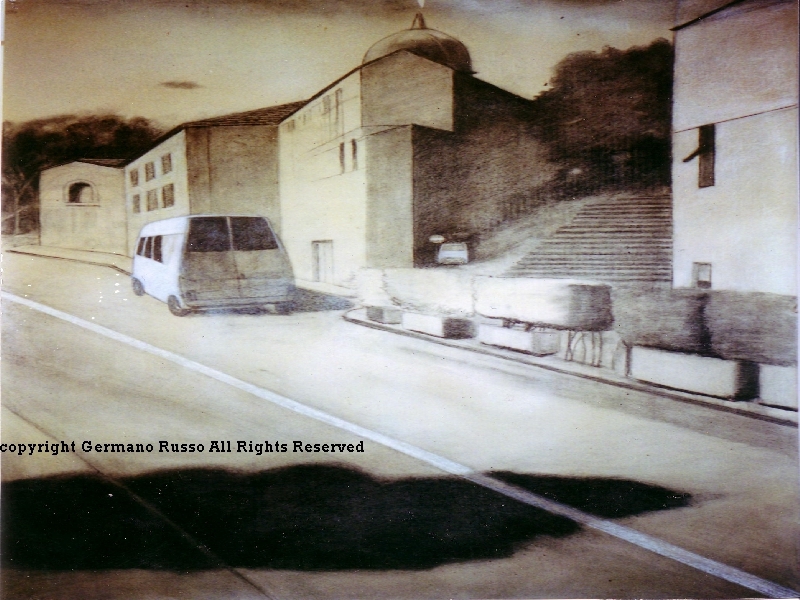 He is another painting of Enzo Russo's Works the twin brother of Germano Russo. 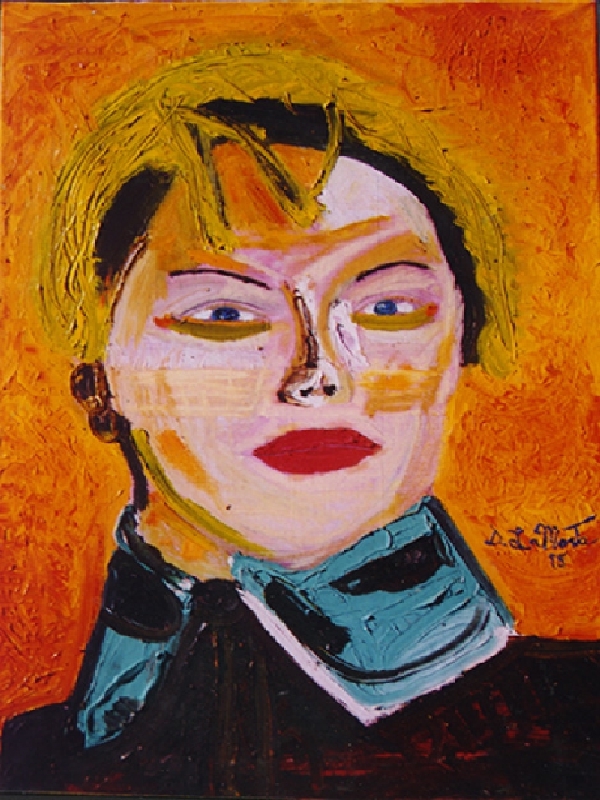 Enzo Russo's Portrait of a woman. and afternoon. Pleir Air Painting © 2002 Darrin Andrew La Morte. 28. Life In A Box. A film by Darrin Andrew La Morte. Life In A Box, is an anthropology of observations made about life around me. © 2002 Darrin Andrew La Morte. from local artists hanging art in public places and galleries. © 2002 Darrin Andrew La Morte. 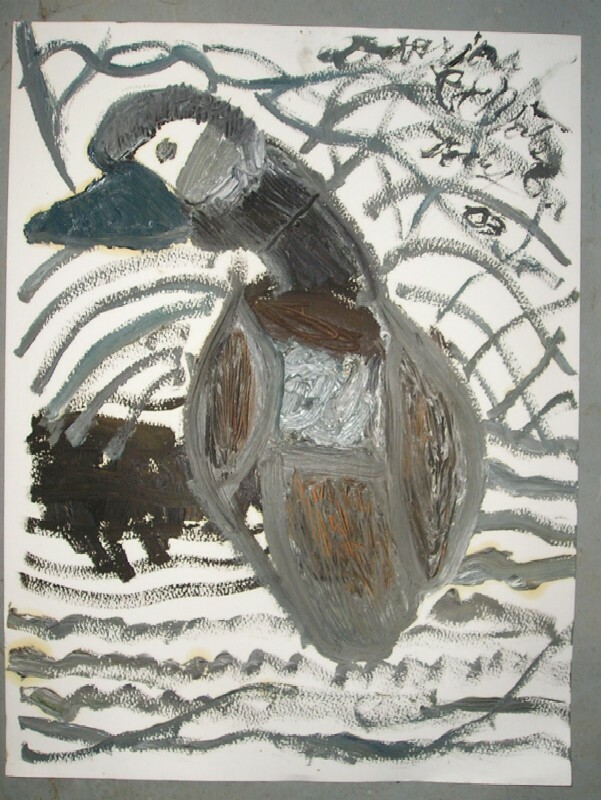 by kayak and paints a bird he saw on the Is land. © 2002 Darrin Andrew La Morte. which were created within the last two years. © 2002 Darrin Andrew La Morte. he saw before the 9 am start. © 2002 Darrin Andrew La Morte. If you look above the word Andrew, that black dot, person is me! I got to the start line early. 34. The Paintings of Omar Safwat. Omar Safwat is half Egyptian and half Swedish. We look at his landscapes, portraits, and still lifes. © 2002 Darrin Andrew La Morte. taken inside the Rich Forum, Stamford, Connecticut, while on exhibit. 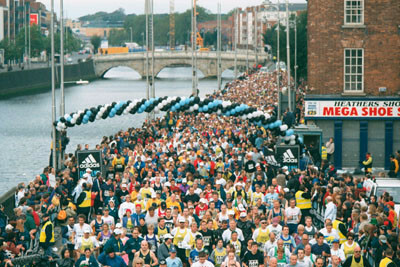 Held during 2002. Great Grandmother Angela. © 2002 Darrin Andrew La Morte. 37. Mr. Bicycle Man. 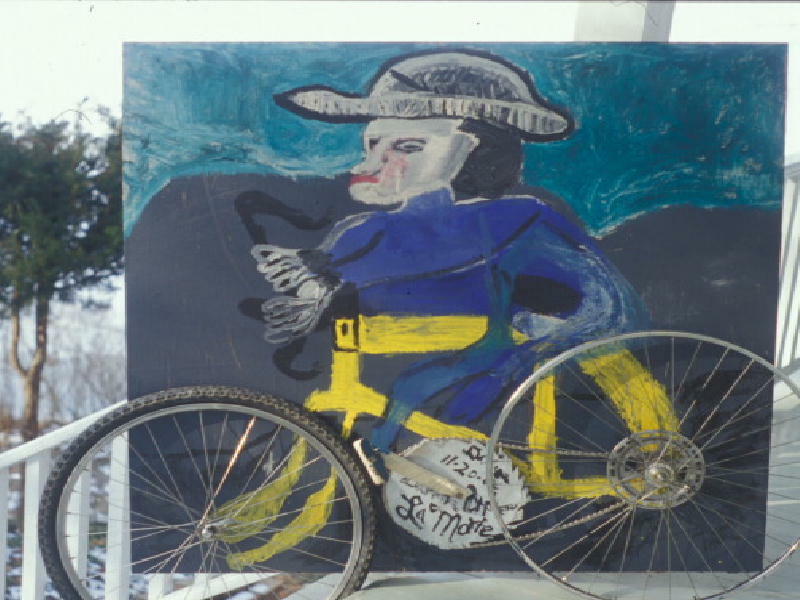 Darrin paints himself riding a bicycle. uses bicycle parts to complete this painting. © 2002 Darrin Andrew La Morte. plastic milk cartons, tin cans, and throws them onto his piece of Lauan. © Click on the photo below to see my painting of 'Flying Colours'. 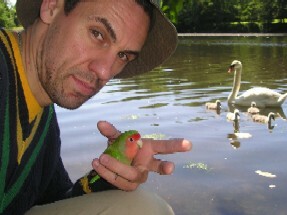 39.Mute Swans.. Darrin Andrew La Morte, paints a pair of mated Mute Swans. didn't make it through the harsh winter. 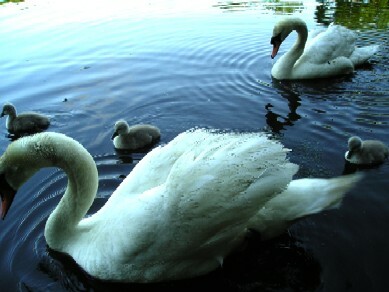 Click on the photo below to see Mute Swans. 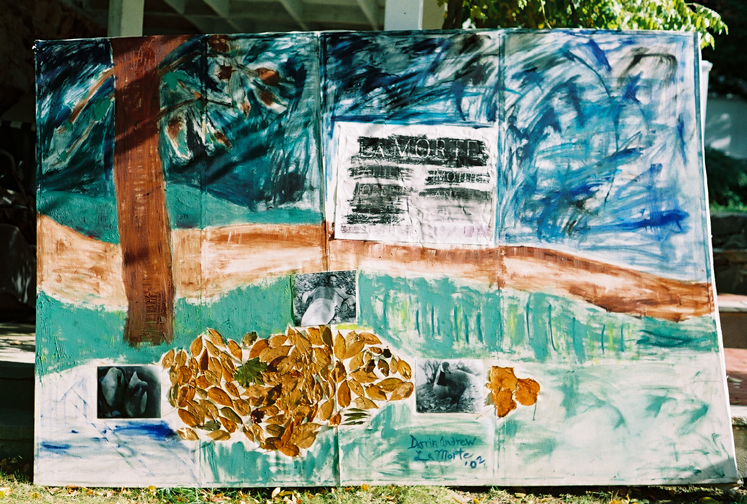 Painted in Darien, November, 4th, 2002. 40. Oliver & Einstein. 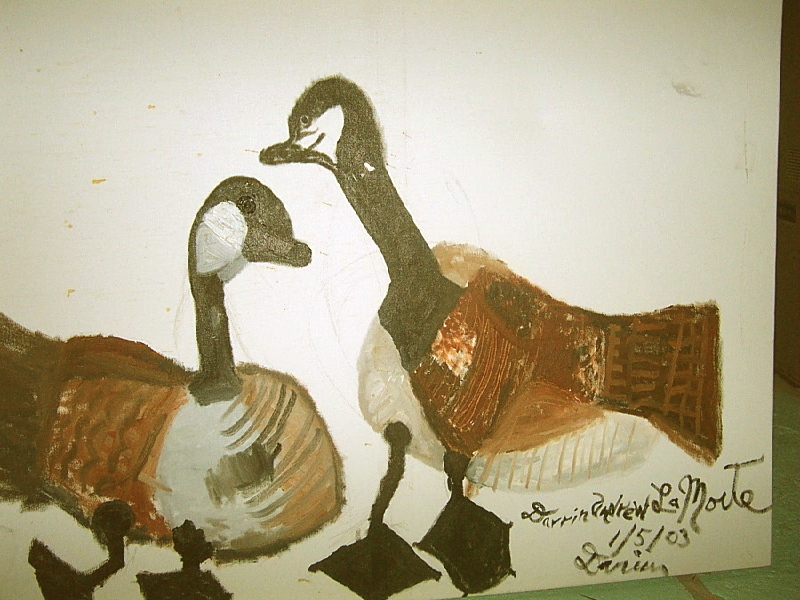 Darrin Andrew La Morte paints a mated pair of Canada Geese. The female, Oliver, (Olivia) has Click on the photo below to see my painting of 'Oliver & Einstein'. a broken left leg. © 2002 Darrin Andrew La Morte. can faintly see a woman. The face is a mirror. what it was like to serve a ball in tennis. City to meet the artist, Andrew Meshberg. in this show are still lifes. © 2002 Darrin Andrew La Morte. Blasket Is land. © 2002 Darrin Andrew La Morte. 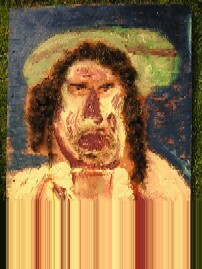 paints an abstract man with a Blue screen a...TV head. © 2003 Darrin Andrew La Morte. of mated Mallard ducks. Painted in Darien..
out on by one. Painted in Darien. 47. The Diving Duck With The Blue Beak. 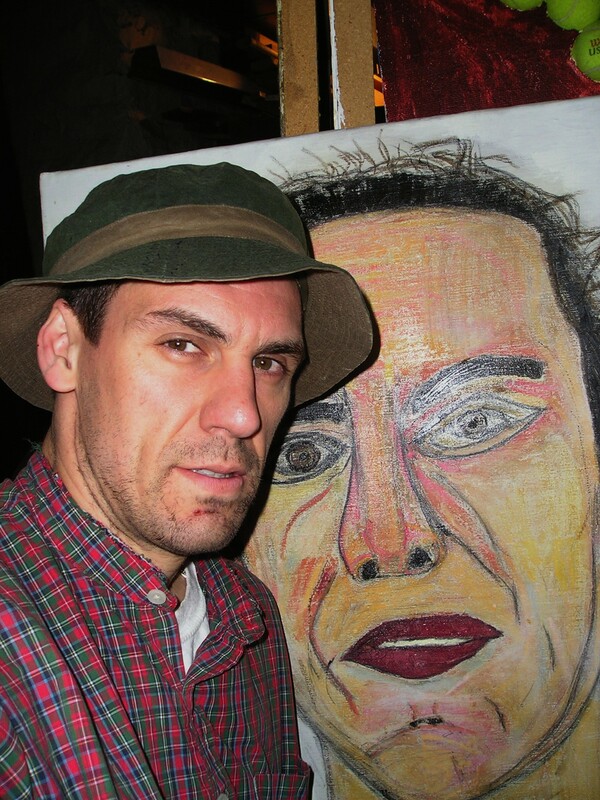 Darrin Andrew La Morte, paints an abstract man late one night. The man is trying to catch a drop of rain in his hand. Darien, during July, when the rain just would not stop. a reflection about spending a good part of ones life sitting down. 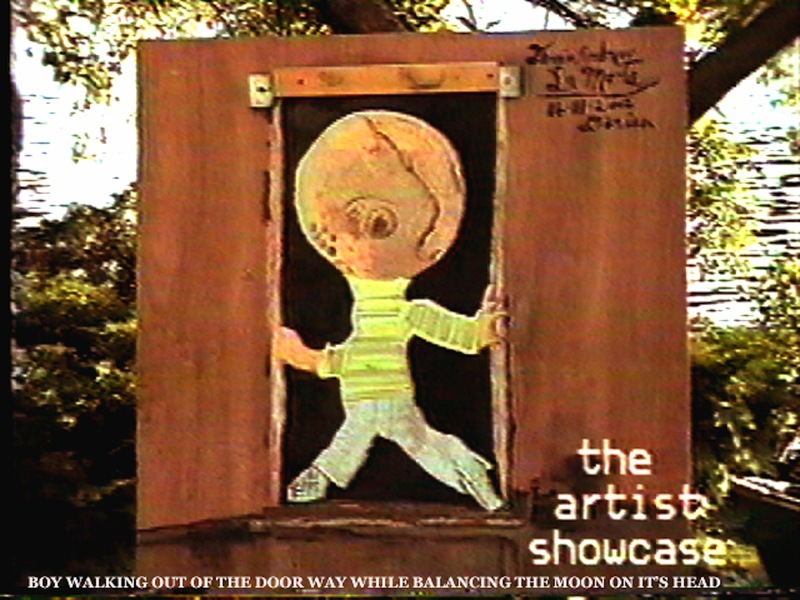 Boy Walking Out Of The Doorway While Balancing The Moon On It's Head. by Darrin Andrew La Morte. 51. The Experiment. 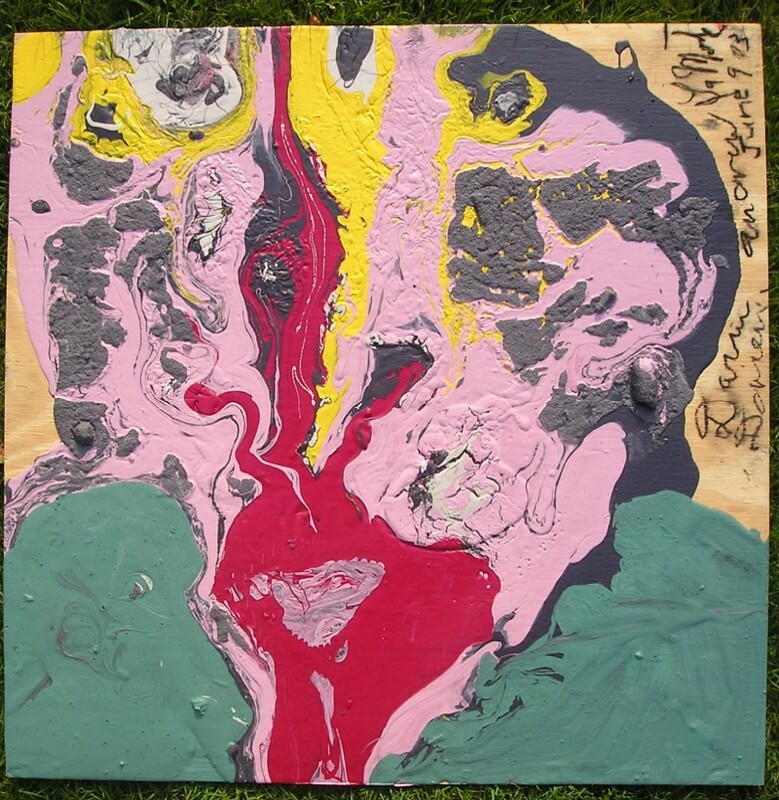 Darrin Andrew La Morte, paints using a molds. back days later, and weeks later and adds the next colour, until painting is completed. 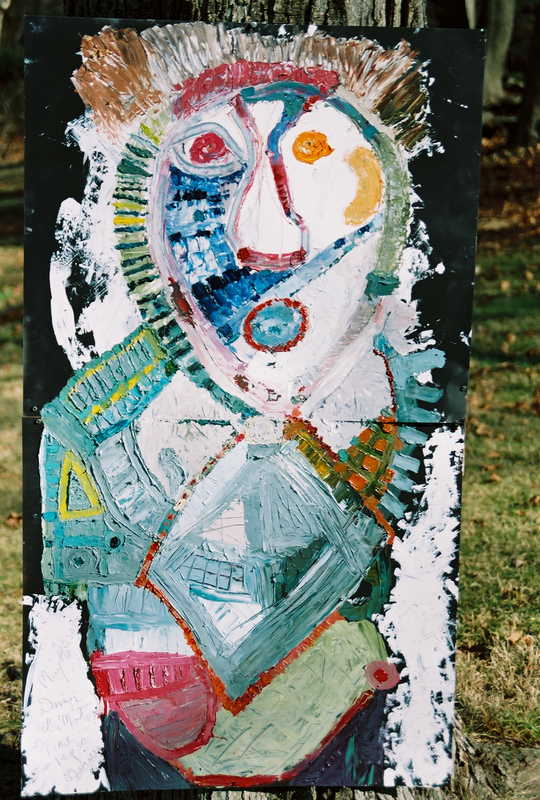 Darrin Andrew La Morte, creates a painting using found objects. The objects are things he owns, and some things he makes, while other things he takes apart. Some of the objects are things people use in everyday life. 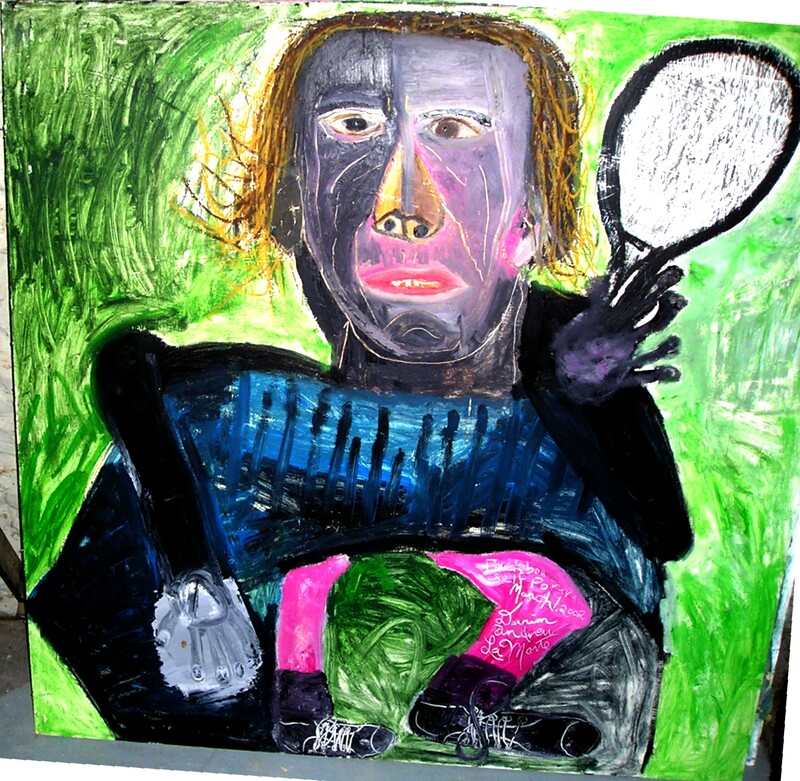 The final painting is of a man holding a tennis racquet, and a telephone, and a range finder camera. 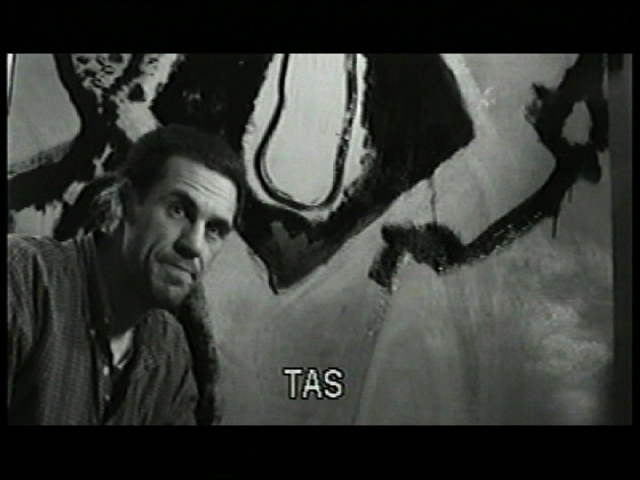 The abstract person holds many objects on his body. His ears, have the sound of Autumn leaves. His eyes have the reflection of tiny broken glass pieces, to reflex light. A CD disk is used for the eye. Pieces of wood, and oil paint to create the net. Paper is cut up into pieces to make the arms. Play dough is used to make the hand holding the the tennis racket. The paint is than left to dry. Darrin comes back to paint the sun, and says good bye. 53. Black & White Man Sitting. Using black paint that really smelled quite bad! Darrin Andrew La Morte creates a painting using oil paint. 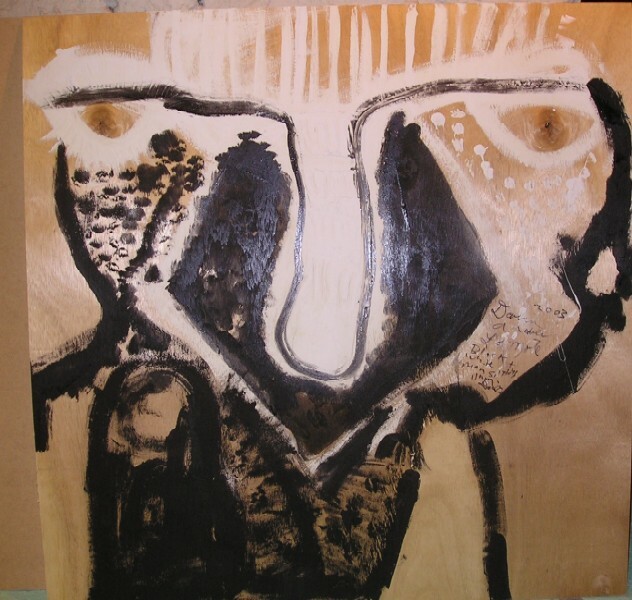 The subject is a abstract man, who is both black and part white. 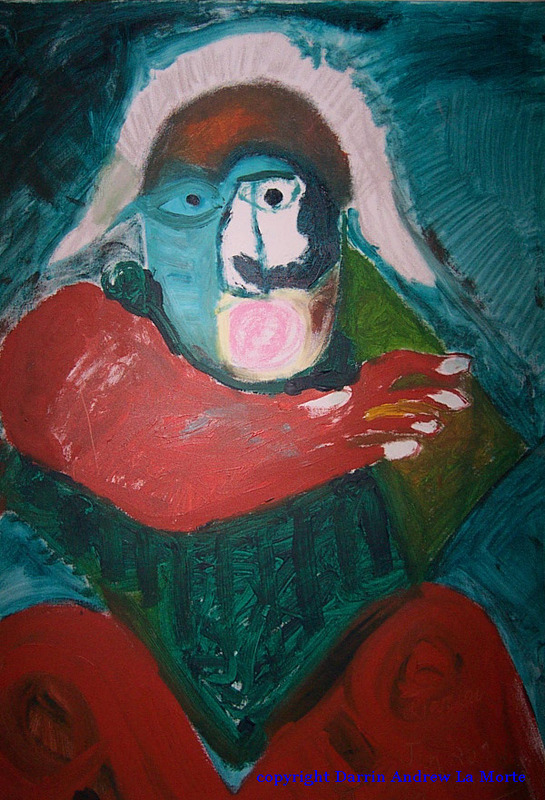 The painting is of a face and a body and arms, The man is supposed to be sitting. 54. Curley The Squirrel. Curley was such a fun Squirrel! Darrin Andrew La Morte finds an injured squirrel on the road while driving home from Cablevision on his road. Darrin decides to take care of the poor thing..bugger. So he feed him sugar water,because it's jaw was injured, and milk. He nursed it back to it's health and he made a friend. When it felt a bit better he feed it bananas. After releasing it Darrin was injured himself and needed to get stitches. It was not a result from the squirrel. 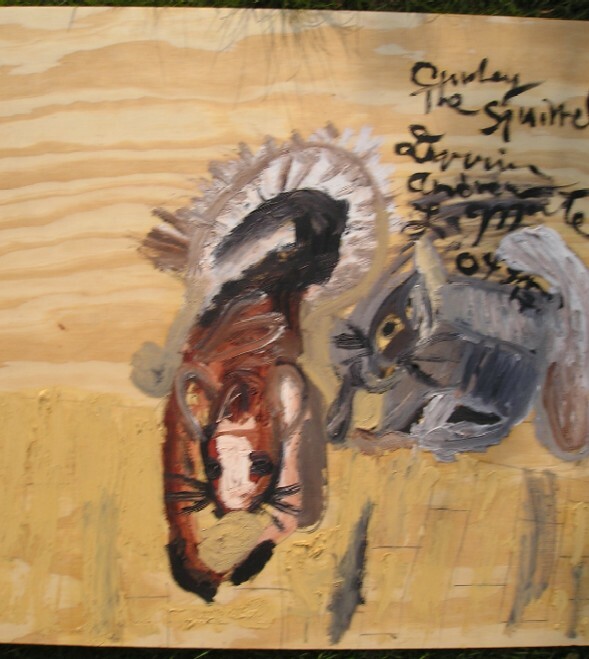 Anyway, so he thought he'd do a painting of the squirrel he took care of. © 2004 Darrin Andrew La Morte. 55. Anastasia: Pastel Works On Paper. Darrin Andrew La Morte travels to NYC to meet the super model Anastasia Dorohova. I painted her portrait for the show opening. Anastasia is a very beautiful woman. I really enjoyed meeting her it was fun getting to know her, & see her art work. And to hold her pet cat "Moonka!" So on this show we meet the Super model, Anastasia. See her Oil pastel paintings on paper. Her paintings on paper where very colorful. I loved the purples hues she used, and dark blues. They showed a lot of warm feelings, and inner beauty. We than, see some of her modeling pictures at the shows close. February just before Valentine's Day. Anastasia is a very sweet girl, I got my treat early...Smiling, and laughing, with Anastasia. I enjoyed listening to her thoughts about her artwork. © 2004 Darrin Andrew La Morte. If you have any other questions below are her two web sites. Click on the photo below to see Anastasia's Artwork. www.steadsybliss.com. I was amazed that we had so much in common. 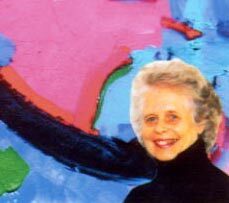 She likes playing tennis, running, and writing, and painting. I really had fun filming this show. Again, it definitely was a special treat meeting this model. I hated the price to park my car. ($38.00) What a place. Over all, I could not have met a more beautiful artist for my show. Thank you, Anastasia! 56. Germano Russo: Roads Of Tuscany. Darrin Andrew La Morte makes a film. February.Thanks to Enzo Russo for letting me film the works. Darrin Andrew La Morte paints a painting using oil paint. Darrin Andrew La Morte paints a beach in Darien, Pear a Tree Point Beach. A painting by Darrin Andrew La Morte. Darrin Andrew La Morte paints a friend,named Michele. Darrin Andrew La Morte paints a a few flowers, and one giant Sunflower. Darrin Andrew La Morte paints his portrait. Darrin Andrew La Morte uses his own hair to paint his portrait. Darrin Andrew La Morte paints a painting of The evening, using sugar and black paint which really smelled. Darrin Andrew La Morte uses some sugar for texture. 63. A Family Of Newborn Signets...Photographs By Darrin Andrew La Morte. Darrin Andrew La Morte photographs a family of Mute Swans, a family of nine new born signets, with only five making it into the wild. However, only two of them survived to see the world. A painting by Darrin Andrew La Morte. Darrin's paints a hillside in Ireland on the way to Tralee. 65. 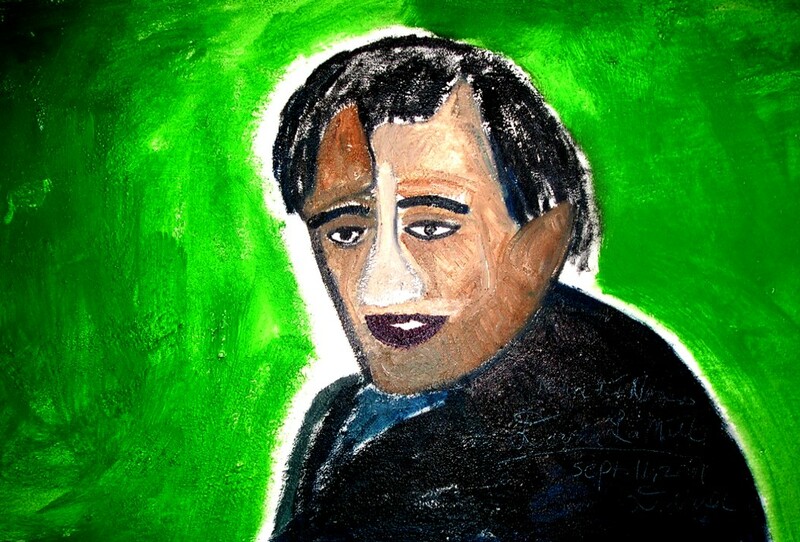 Art For John Kerry. 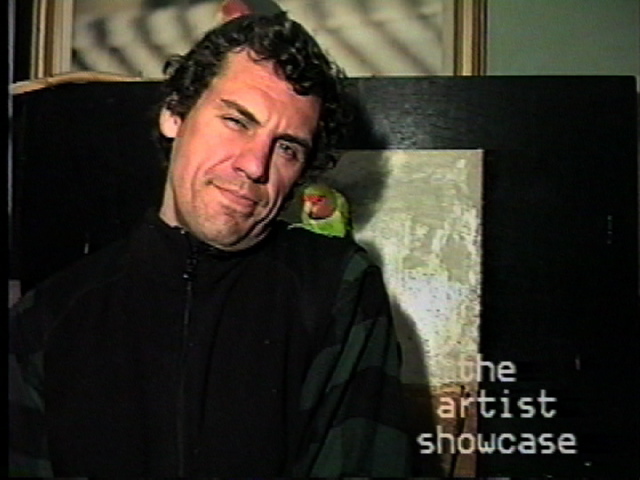 A video by Samir Safwat, artists pulled together and sell their work to help president elect candidate Sen. John Kerry bid for Presidency 2004. A painting by Darrin Andrew La Morte, Darrin talks about running The Darien Road Race, and paints a runner running towards the finish line. 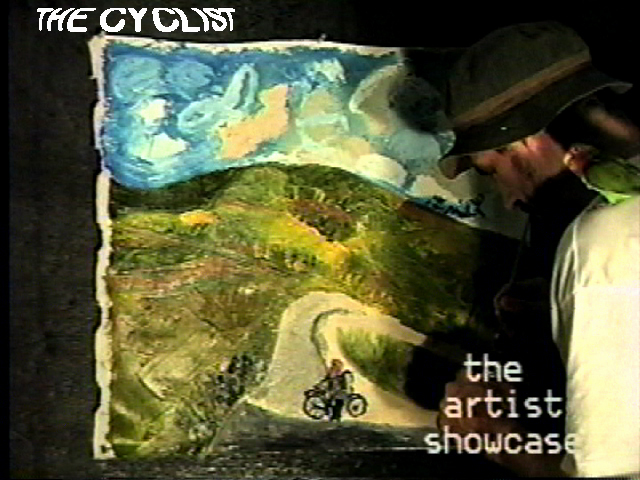 Parts filmed with super 8 movie film. A painting by Darrin Andrew La Morte, Darrin creates a painting again. One he created that he destroyed by accident. 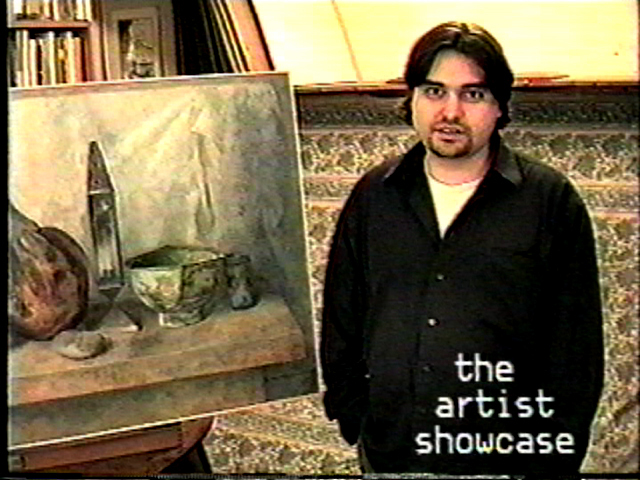 So in this show we see Darrin recreate a painting he once painted. Painted with the same general theme in mind. 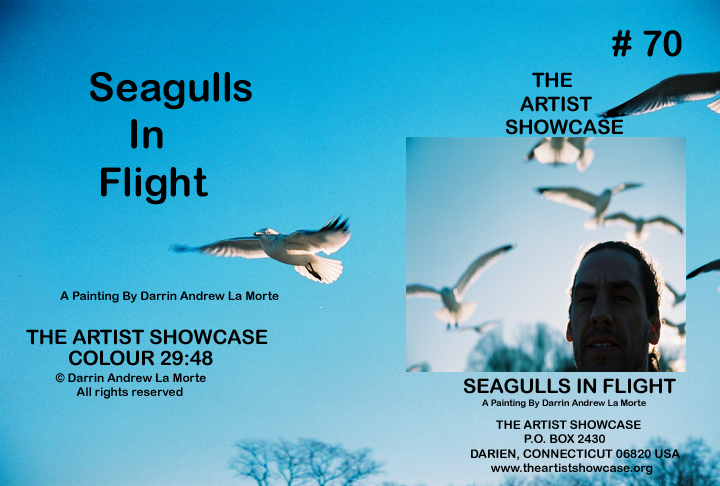 A painting by Darrin Andrew La Morte, Darrin creates a new painting with The Seagulls in mind. Painted a few days before Christmas on December 21st, 2004. 69. An artist retrospect on visiting art museums. 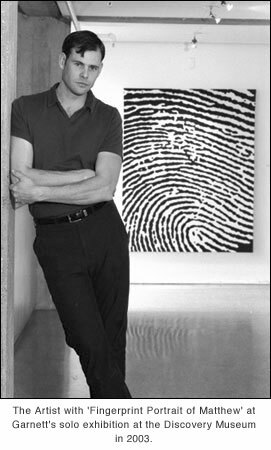 Darrin Andrew La Morte talks about what he recalls about visiting art museums. 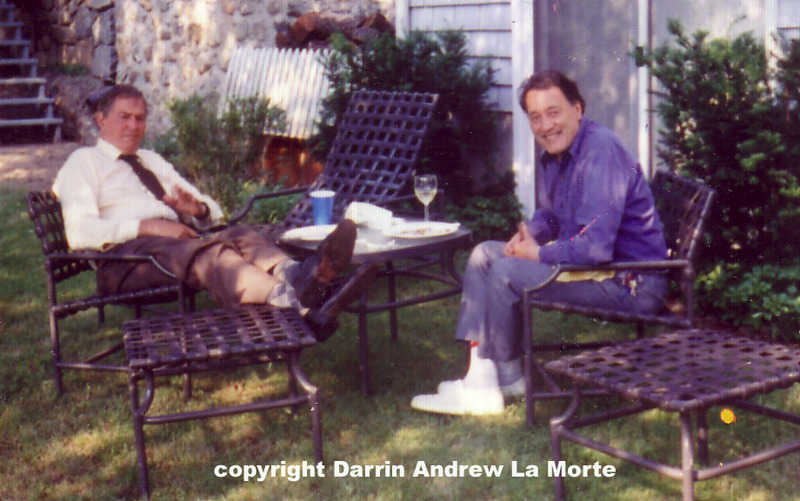 In this show, Darrin Andrew La Morte travels to New Haven, Connecticut. 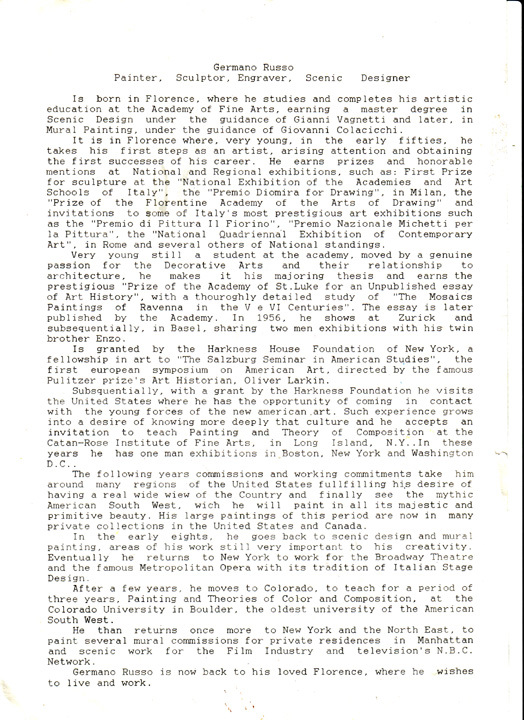 He pays a visit to The Yale University Art Gallery. The artwork shown in this program is 19th and 20th century American artists,and a famous painting by Vincent Van Gogh, 'The Night Cafe.' Which is part of the museums permanent collection. © 2005 Darrin Andrew La Morte. Darrin Andrew La Morte creates a painting using broken 45 lps records. Darrin creates his own lyrics using the records he uses for this TV show. 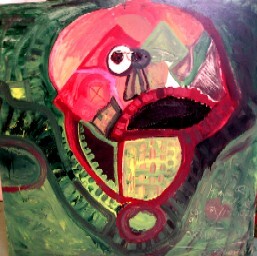 Darrin Andrew La Morte creates a painting of an abstract face. 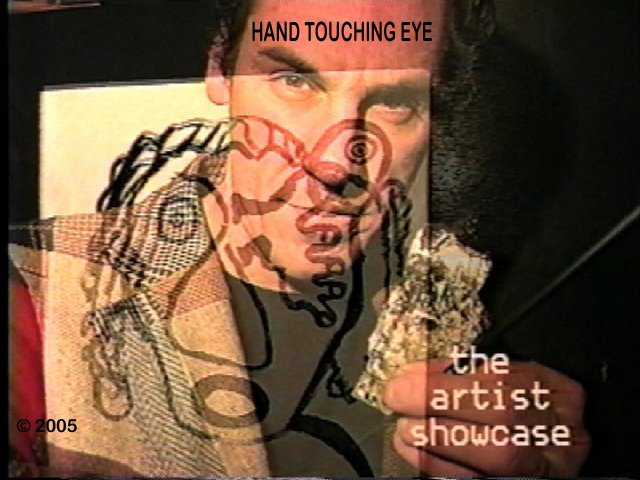 A person rubbing their eye with hand. Darrin Andrew La Morte films the Lumina String Quartet in Concert. Held at The Palace Theater. The Lumina String Quartet performed Poem #3 Concert Suite. © 2005 Darrin Andrew La Morte, All rights reserved. 74. Remembering Darien When. Film By Darrin Andrew LaMorte. A documentary about old people from the Town of Darien, Connecticut. 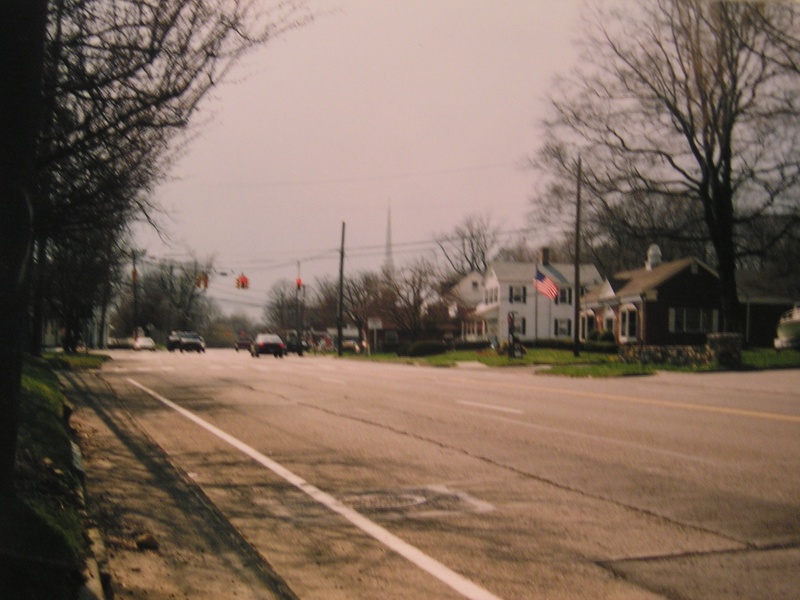 I gave my real life documentary about part of life growing up in Darien. 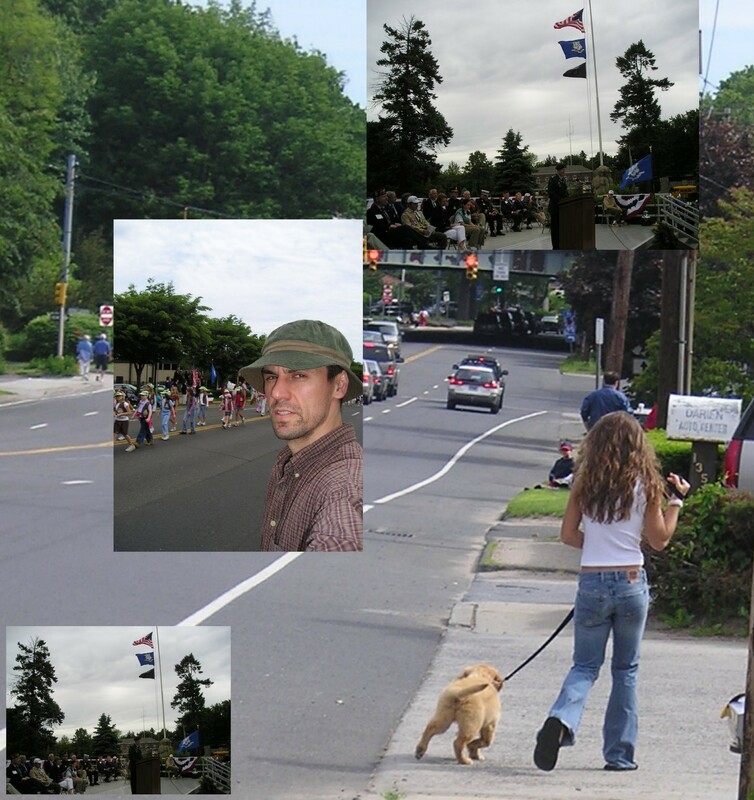 Filmed from February 2004, through June of 2005. I used Kodak Super 8 motion picture film. "Remembering Darien When". © Copyright 2005 Darrin Andrew La Morte, All rights reserved. 75. Monkey Bread Tree. A painting of a Monkey Bread Tree By Darrin Andrew LaMorte. A show decicated to my Peach Faced Love Bird. She turns Seventeen. Filmed Septemeber and October 2005. 76.Pink Tea Rose. A painting of a Pink Tea Rose By Darrin Andrew LaMorte. 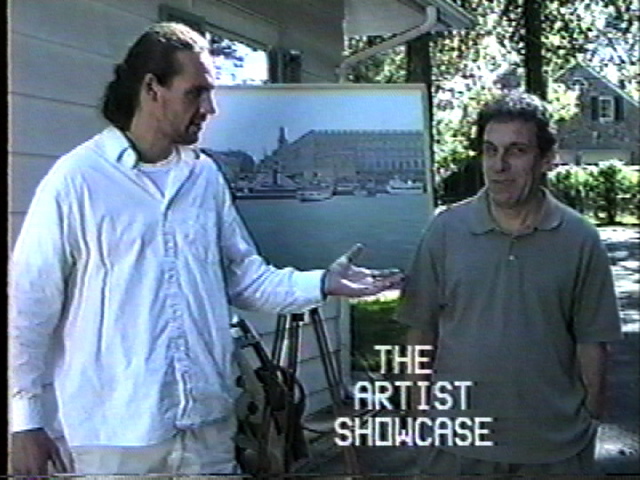 A show decicated to my childhood art teacher and to my father. . Filmed November and December 2005. © Copyright 2006 Darrin Andrew La Morte, All rights reserved. 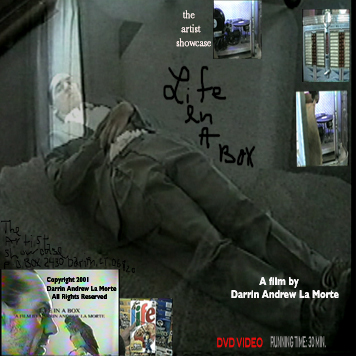 Copyright © 1998-2013 Darrin Andrew La Morte,The Artist Showcase ®, All rights reserved.